From left to right: Mrs. Clare Woodcraft-Scott, CEO- Emirates Foundation and Mr. Mark Garrett, Chief Executive Borealis. 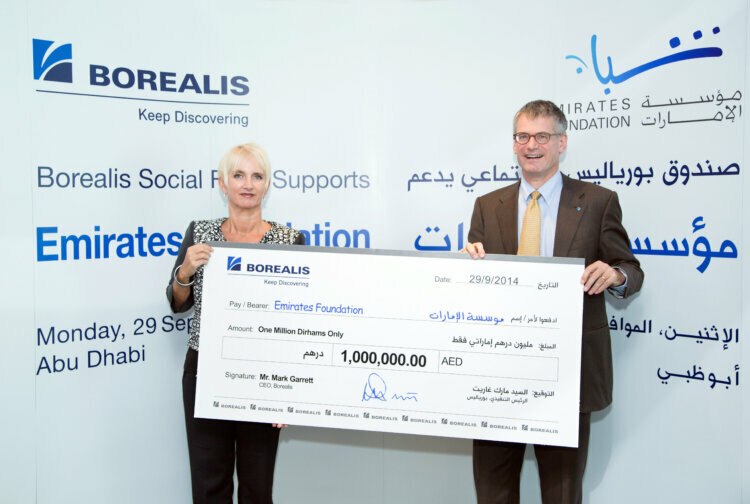 Borealis, a leading provider of innovative solutions in the fields of polyolefins, base chemicals and fertilizers, has announced it will present AED 2 million to support the educational process at the Emirates National Schools and another AED 1 million to the Emirates Foundation. 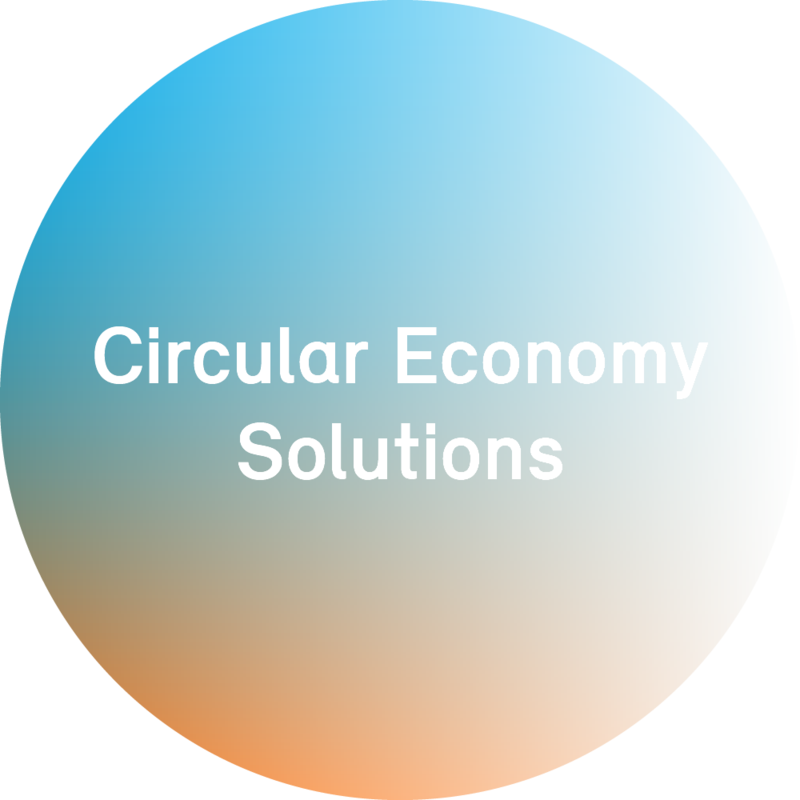 These amounts have been made possible by the Borealis Social Fund, which since 2008 has dedicated itself to actively contributing to the welfare and enhancement of the communities in which the company operates. The Emirates National Schools (ENS) is in its eleventh year of existence, offering educational programmes from kindergarten through to grade 12. Over 6,200 students are currently enrolled at the three separate campuses, Mohammed Bin Zayed City, Al Ain City and Abu Dhabi City. This most recent Borealis initiative has been praised by H.E. Ahmed Mohammed Al Hamiri, Secretary-General of the Ministry of Presidential Affairs and Chairman of the Emirates National Schools, who has expressed his appreciation that Borealis continues to support the goal of helping develop students with finely honed intercultural awareness and skills in order to produce responsible citizens of their own societies and the world community. Emirates Foundation was established by the government of the Emirate of Abu Dhabi in 2005 as an integrated national initiative that seeks to invest in UAE youth. The Foundation’s strategy uses the model venture philanthropy with a view to impacting the lives of young people in the UAE positively and permanently to improve the welfare of youth of the UAE. For the Foundation to do so it works in three key focus areas: social inclusion; community engagement; and leadership and empowerment. It will seek to identify, educate and inform the public about challenges facing UAE youth while developing sustainable, enterprise-based solutions to social issues and motivating young Emiratis to volunteer, participate and give back to society. In recent years, Borealis has supported regularly via the Borealis Social Fund various charitable, humanitarian and educational organisations in the UAE, including the Emirates Foundation, the Red Crescent, the Zayed Higher Organisation for Humanitarian Care, Family Development Foundation, and other select charities. From left to right: Mr. Mark Garrett, Chief Executive Borealis, and Dr. Kenneth Vedra, Director General Emirates National Schools.